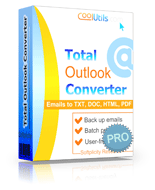 Total Outlook Converter Pro is an advanced solution, which you can purchase right now and thus get rid of a whole bunch of inconveniences. Particularly, this piece gives you an alternative to storing large numbers of emails (OST or PST files) and using Outlook to manage them. 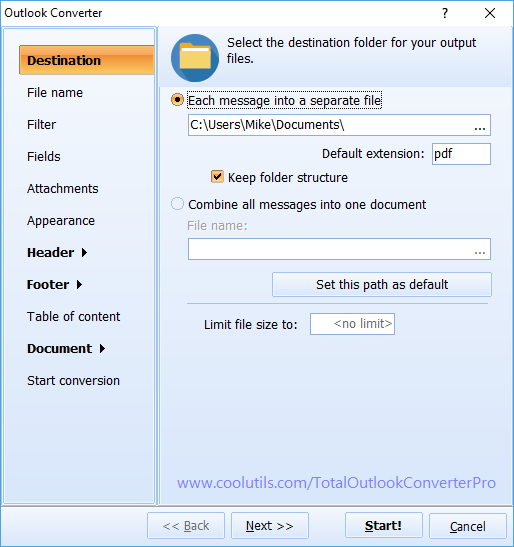 With Total Outlook Converter Pro at hand, you can convert Outlook emails with attachments to HTML. This article explains how to do that. This converter is built in such a way as to speed up and simplify your work. The interface and the wizard will lead you down the right path, not letting you go wrong. The program has an array of options and functions, which you can either apply or skip. Options, which appear to be truly revolutionary, include batch conversion option, command line support and a set of options allowing you to convert attached files in your preferred way. 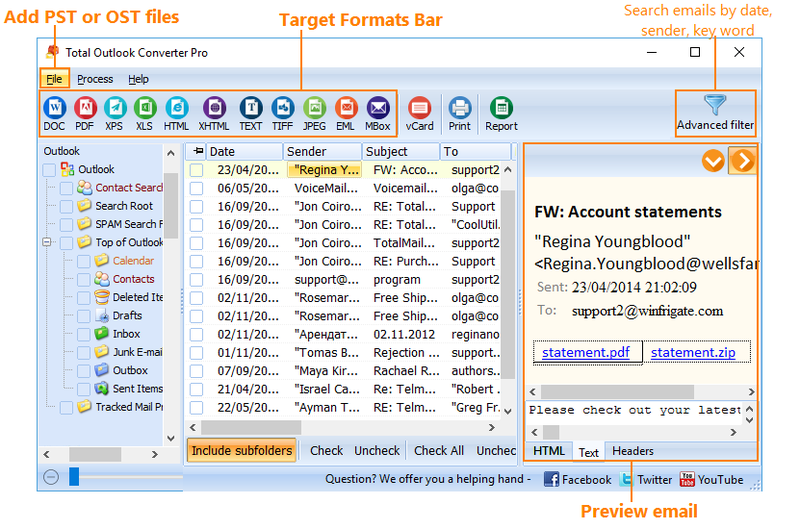 Launch the interface and view the file tree on the left-hand side of the screen. Click on the folder with your emails and view the list of emails, which are found in the chosen folder. If you want to process one or a couple of emails, check them with the mouse. If you want to convert the whole batch, select Check all at the bottom of the interface. The program will check-mark all the messages. 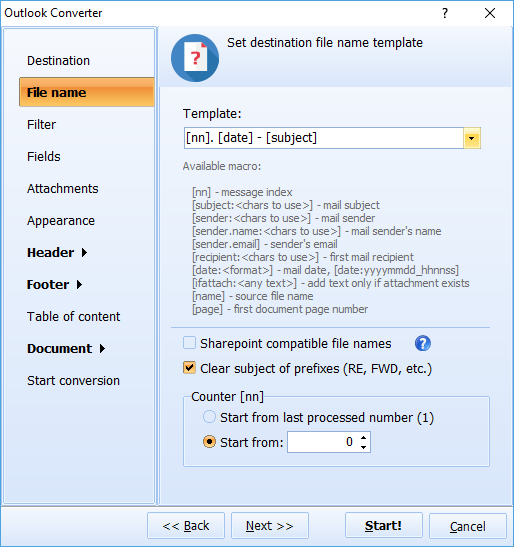 Set the destination folder for your HTML files. Select between options, which you would like to apply to the attachments. You can choose to save attachments in separate folders, unpack archive attachments, include attached images into your target documents, etc. Most important, you can convert attached documents to HTML and save them in separated files. These two options are only available in Total Outlook Converter Pro. Select "Start conversion" to review all the settings you have made. Press "Start" to convert your files. If all this sounds good to you, download the free demo version and try to convert PST to HTML as instructed above. This version is only valid for 30 days. If you buy the license version, you will be able to enjoy free tech support and updates for the following year.